What is Taijiquan fighting style? Taijiquan fighting technique consists of four consecutive movements. The beginner learns the form with counting like Peng-Lu-Ji-An or 1-2-3-4. Peng and Lu is a receiving motion to disable opponent’s attack. Ji and An is a motion of counterattack. It is an action to invite the opponent’s fist, more specifically speaking, it is an action to put the face in front of the enemy with loosen the body. Break the equilibrium state of the fighting distance toward the opponent, and make an unguarded moment intentionally. If you can trigger an opponent’s attack at your own timing, it will be easier to deal with. It is an action to make the opponent’s attack ineffective and secure favorable position. Keep your eyes in horizontal, dodge the attack and place in position where you can fight back. Or stick to your opponent’s arm and divert your opponent’s direction of attack at the point of contact. Or pull the opponent attack with keeping the sticking point, and completely destroy the opponent’s standing posture. It is the movement of the center of body gravity, instantly shorten the space toward the opponent. Specifically, the hand jumps out, the center of gravity moves, and the hand can catch the target. It is like the movement when the beast animal jumps to catch the enemy. Timing should be unconscious. It is created with the timing of the opposite hand dealing with the opponent attack. It is the action to transmit the shock into the brain inside. It starts when the flying hand touches the opponent’s face. The open-palm attack sticking to the face does not let the Jin(勁) force escape. All power is sucked into the brain. When stepping on the back leg, this action is correlated and linked to the action that the open-palm hits into the face. This locked state is determined not by stiffness of the muscle but by the arrangement of perfect alignment in all joints and bones. Let the opponent to take an action in your timing, and strikes back. This is a theory of Taijiquan. 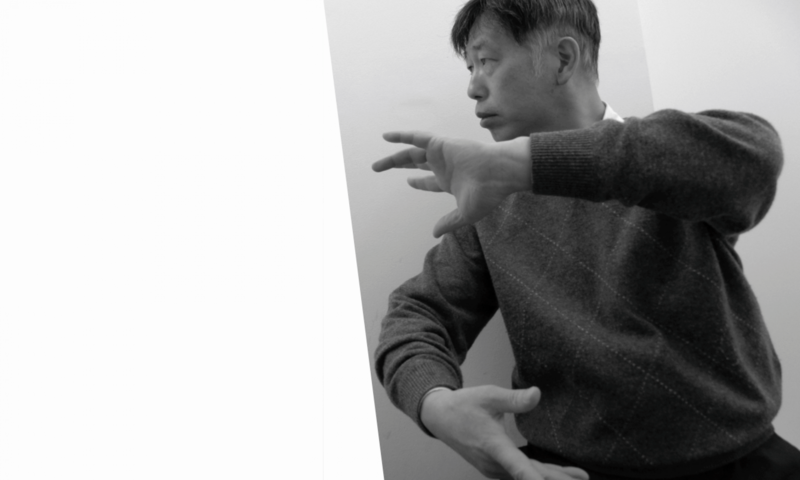 You can see this theory in Taijiquan 24 simplified form if you practice and perform correctly. There is only one correct movement regardless of any styles of Taijiquan. This is a tradition.